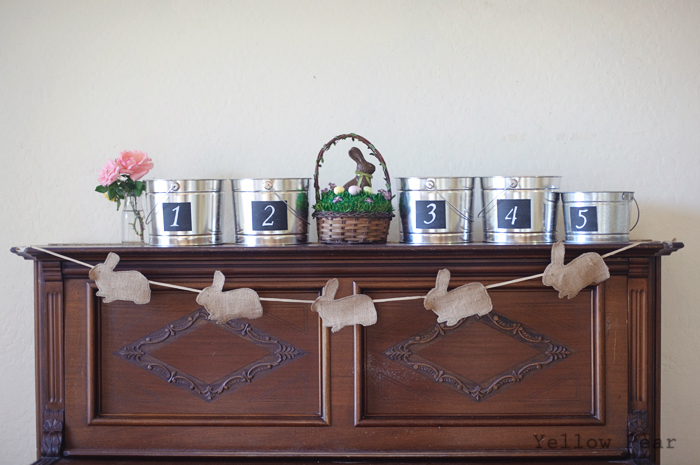 With the addition of child number five, I decided I needed matching Easter buckets, because I can't stay away from projects lately! It's all I want to do. Anyway, I wanted them numbered. 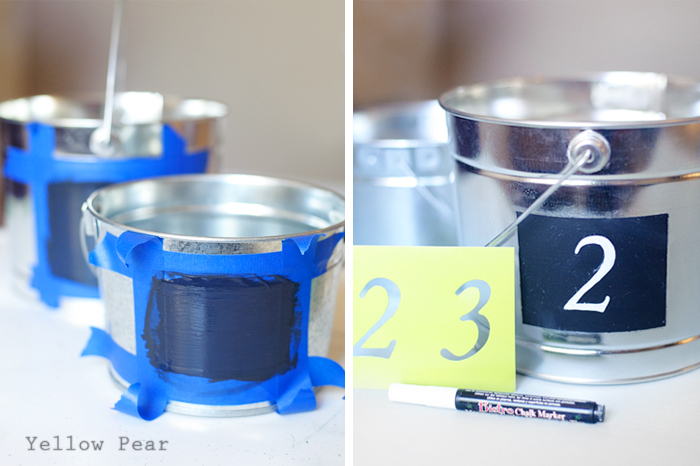 I originally thought I could buy paint buckets and stencil numbers on them...however, it didn't work. 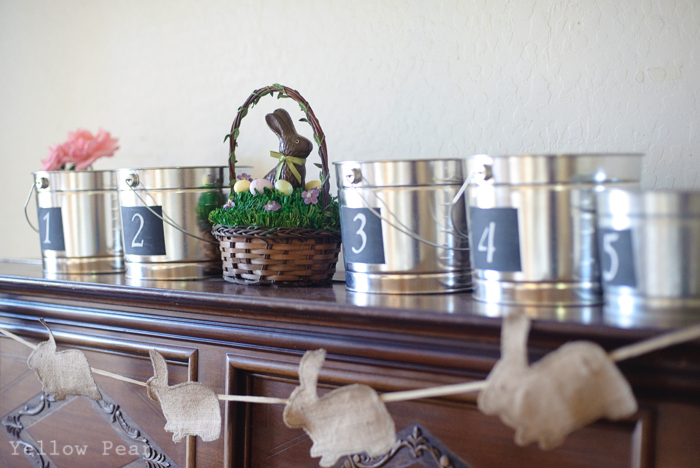 First of all, it was ridiculously hard to find simple, metal paint buckets for a reasonable price and large enough to accommodate many eggs (otherwise I would have a mutiny on my hands). 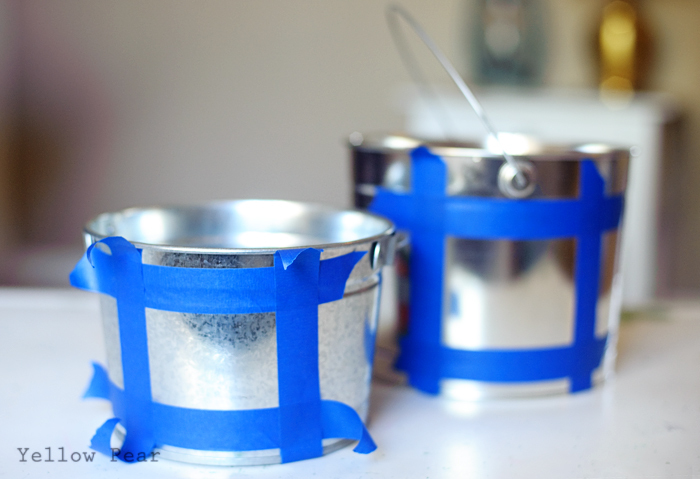 I finally found a three pack of 5-quart buckets on Home Depot's website and had them shipped to the store. I also bought a smaller one for the wee babe at Ace Hardware. Because it's just too cute and so is he. After I finally rounded up the buckets, the painted number idea flopped...because the paint bled through the stencil. So.... next up, I decided I could add a little chalkboard label and chalk the numbers on. 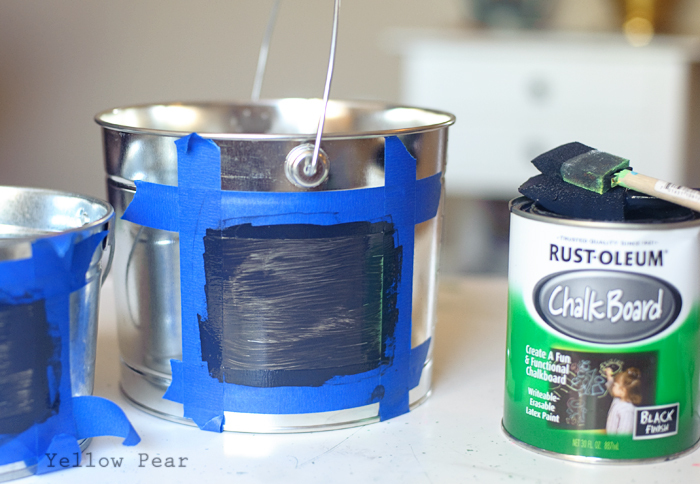 I taped off a rectangle on each bucket, painted a few coats of chalkboard paint, making sure to let them dry in between. I then peeled off the tape while it was still a bit wet to make sure it didn't peel the paint off as well. There was a little bleed through, but I just quickly wiped off the paint from the unwanted places. And finally, I rubbed chalk over the dried label to cure it and then lightly chalked the outline of the stencil number. Then I went over the number with a chalk marker for a more permanent look. I love them! The simple, utilitarian look is great for my boys and my girl both. And the best part is, they all stack together...which is very handy. 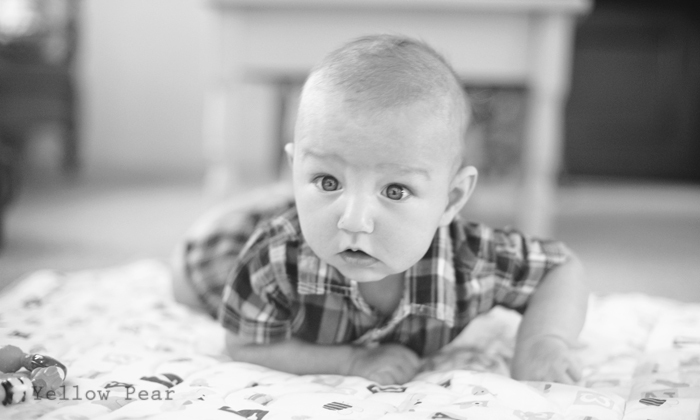 This guy worked on his tummy time skills while I made buckets. He's not really a fan, but he's getting better!